When I heard L'Oréal were releasing facemasks I counted down the days until they were released in the UK! I am a massive fan of facemasks, my favourite being Glamglow masks. Unfortunately Glamglow masks are a luxury item I use sparsely due to the price tag of £50 for 50mls compared to the L'Oréal masks which retail for £5 for 50mls. There are three masks in this new range. The Purity mask, Detox mask and Glow mask. When I got these masks to review I wanted to make sure I gave them a thorough testing before posting my thoughts. I have used them numerous times over the past few weeks and each time have grown to love them more. I have used each one by itself and also used each mask together, putting each one on the problem area it was designed for (known as multi-masking) as recommended by L'Oréal. Detox mask - This mask does an amazing job of clearing out your pores and leaving the skin very smooth. It dries very quickly when applied. It could not be considered a relaxing mask to wear due to how tight it feels on your skin. It can be quite difficult to remove meaning you need to rub at your skin more than you probably should but the result is worth it. 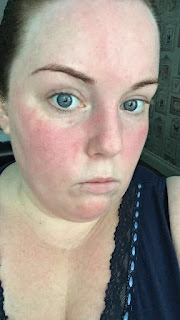 Skin is very red after being removed (as seen in picture below). Purity mask - Very similar to the detox mask. Dries very quickly but not quite as uncomfortable to wear as the detox mask. It also pulls out impurities from the skin and reduces the look of pores. It Leaves the skin looking matte but not as dry as with the Detox mask and is also easier to remove. Glow mask - This mask is the most comfortable to wear out of the three. It leaves the skin looking clean and healthy with a beautiful glow. 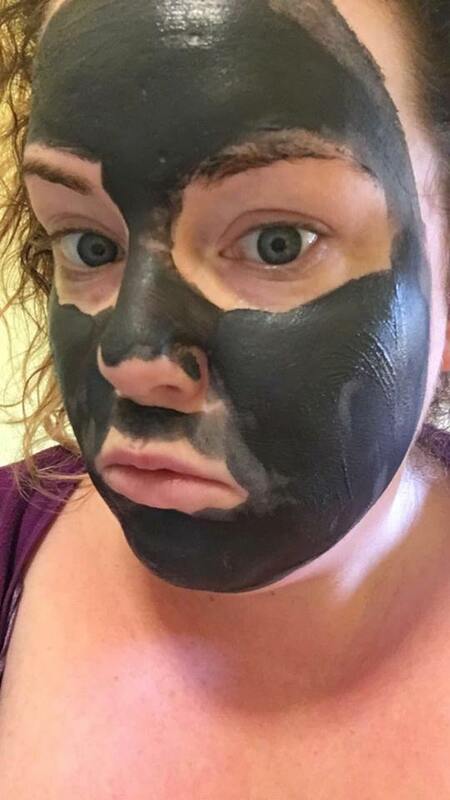 When removing this mask it really exfoliates the skin giving it a good cleanse. skin feels very hydrated after use. 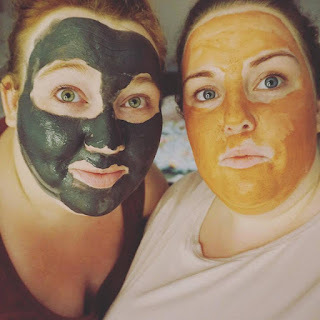 My favourite way to wear these masks is putting the detox mask in my T-zone and the glow mask all over the rest of my face. As with all my skincare I always apply with a clean makeup brush to reduce the risk of spreading germs which may cause spots. As with all skincare, every product works different on each person depending on skin type, texture etc. So I decided to get some of my lovely readers to review these masks for me. Below you will find some of their unedited opinions. "Hey Autumn, so I have tried the masks for the first time and wow, my skin feels so good and amazing. I feel fresh and revitalised, also think it may have reduced the darkness under my eyes. I love it and it smells awesome, might just buy the three". 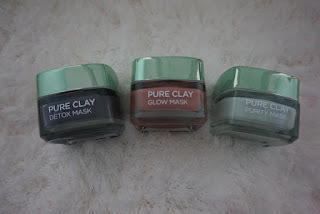 "I have used these face mask twice now and have seen improvements already. When I get up I always have to moisturise as have dry patches well I haven't had these since using the masks. I used all 3 at once on different areas. They all smelled really fresh. The pink one had a different texture (was rough) than the other 2 but all applied well and came off without any problems. Skin felt silky smooth afterwards and I mentioned the Dry skin patches gone so would def say hydrates skin too. 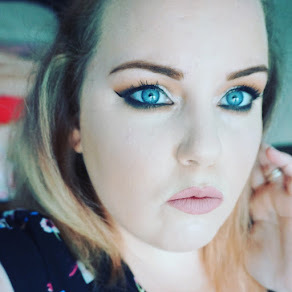 Dark circles under eyes were brightened up as well. I would def purchase this in future and at £5 a bargain I would say"
There is no denying these facemasks are amazing value for money. They do exactly what they are meant to do and certainly give higher end brands a run for their money. You can buy the L'Oréal Clay Facemasks HERE. Let me know what you thought of these face masks! 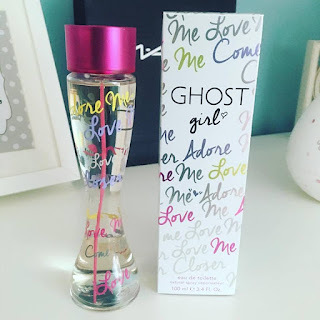 Although not makeup related, when I noticed my favourite perfume was on sale at Boots.com I had to let you guys know. Ghost girl is a beautiful feminine fragrance. I struggle to wear perfumes that are over powering but also like my fragrance to last throughout the day (yes I am difficult). This perfume with its pomegrnate, pear and orange blossom scent is undercut with cedarwood and musky amber making it just the right balance between a subtle everyday scent and a longlasting signature fragrance. When I wear this perfume people always ask me what it is as they love the smell. Boots often have amazing special offers with this fragrance so I always wait for them to stock up. At christmas time they do a beautful gift set that includes the body lotion in the same scent. This current offer means the 100ml bottle is 75p cheaper than the 30ml bottle what more could you ask for!